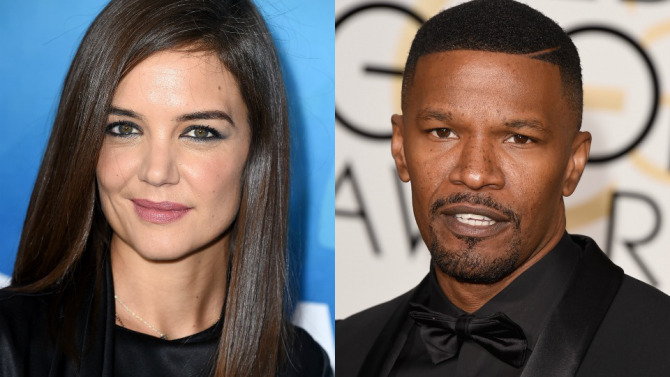 *There is confirmation that Jamie Foxx and Katie Holmes are indeed a couple, but the confirmation comes from former “Real Housewives of Atlanta” star Claudia Jordan, so…sip tea with caution. The confirmation comes after Holmes sparked engagement rumors in January when she was spotted wearing hardware on her ring finger, reviving talk that she’s been dating Foxx after her split from Tom Cruise. The rumors originated in 2013 at the 4th annual Apollo in the Hamptons event, where Jamie and Katie were photographed dancing together. Then, earlier this year, there were rumors they have “been hooking up on the DL” for the past year and a half.